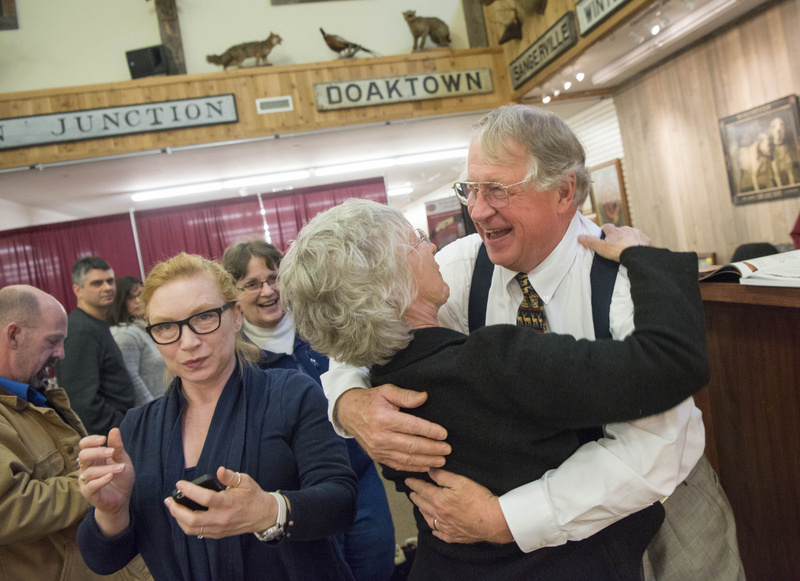 Diana LaRue gives James Julia a hug after his final auction at his James Julia Auctions house on Skowhegan Road in Fairfield on Friday. 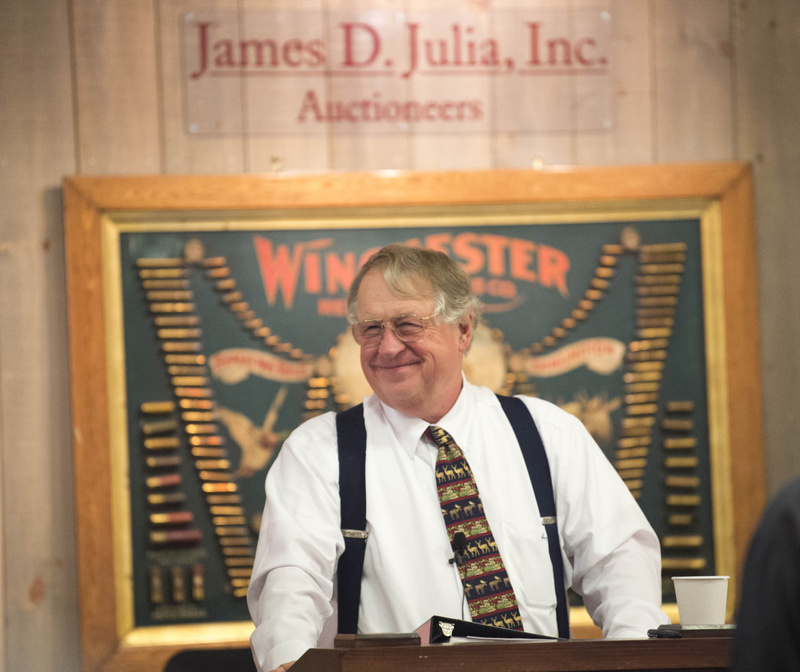 James Julia speaks with the crowd after selling his last item at his James Julia Auctions house on Skowhegan Road in Fairfield on Friday. 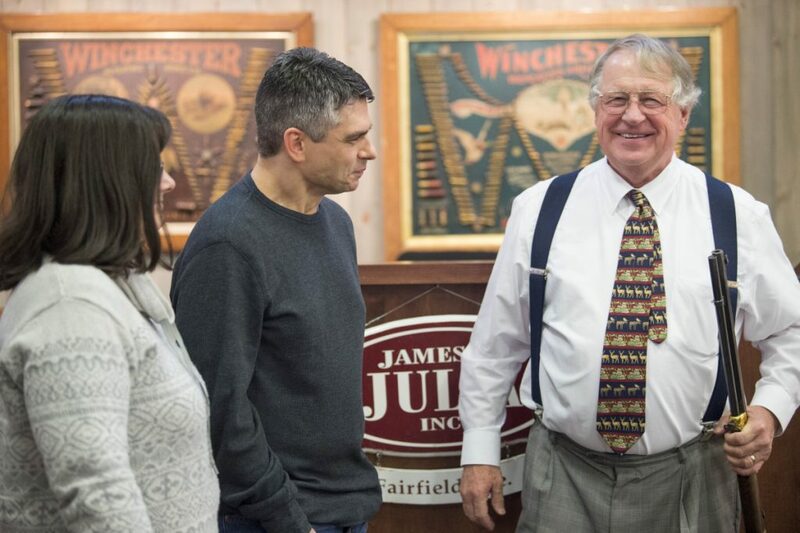 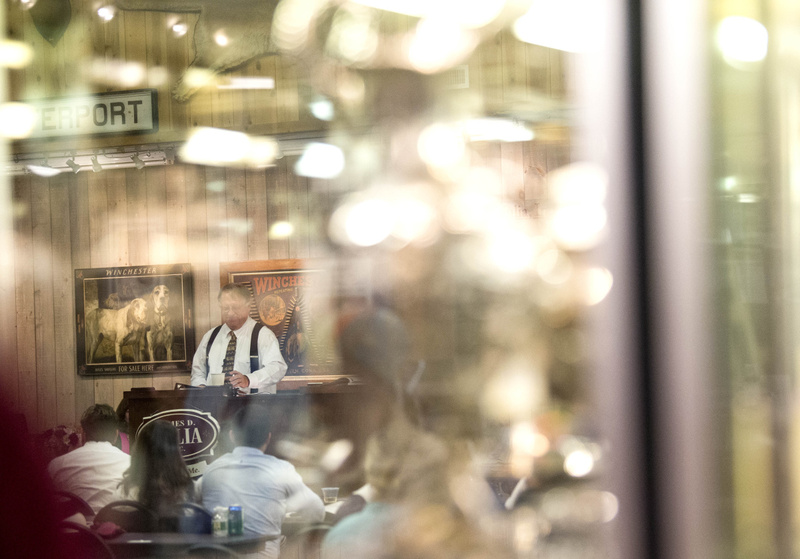 James Julia speaks with the children of Ray Bentley, Larry Bentley, center, and Barbara Stoken, left, after selling Ray's Winchester Model 1866 for $598,000 at his James Julia Auctions house on Skowhegan Road in Fairfield on Friday. 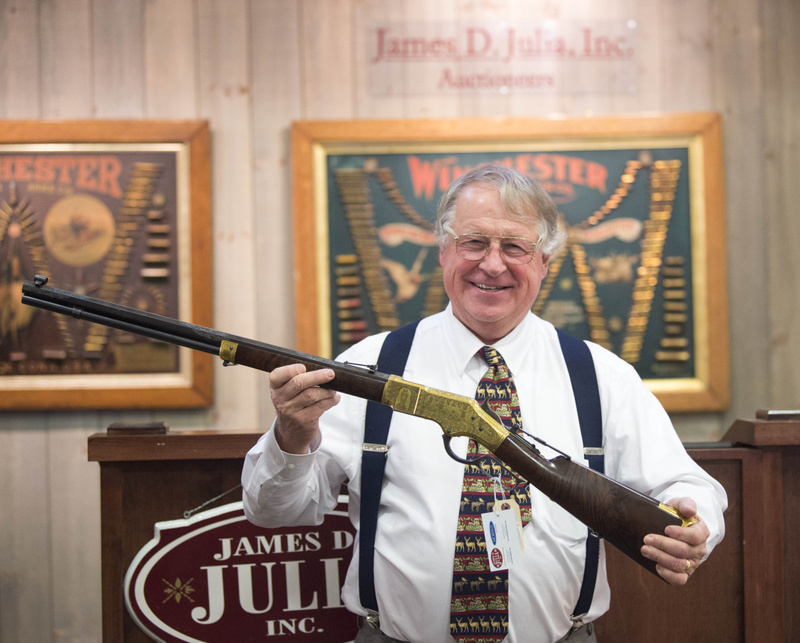 James Julia holds a Winchester Model 1866, which sold for $598,000 at his James Julia Auctions house on Skowhegan Road in Fairfield on Friday.